1. Sillicone Steamer- It's no surprise that fried food is not healthy for you! Well cut calories, not flavor, with a steamer! 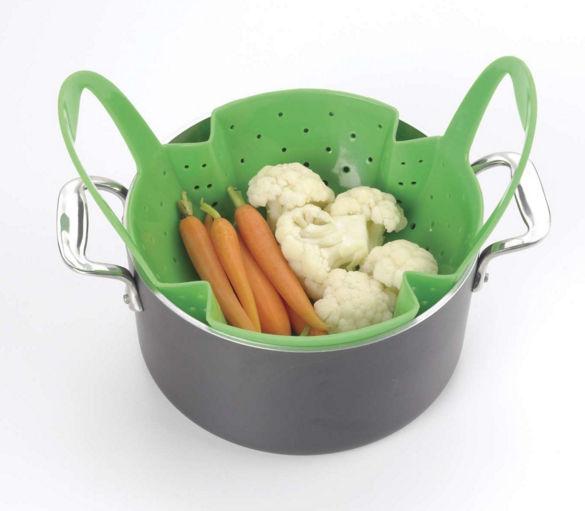 You can easily add this silicone steamer to the pots and pans you have already and steam up some yummy meat and veggies! 2. 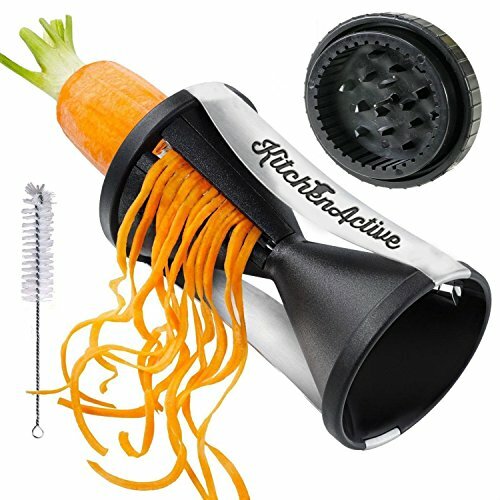 Kitchen Active Spiralizer- Save time. Lose weight. Make a beautifully decorated zucchini spaghetti! With Kitchen Active Your wait to find the perfect pasta maker is finally over! This simple tool is all you need to get yourself on a fast track to weight loss, healthful living, increased energy, and vitality! By simply giving a twist, you can turn your whole vegetables into a gorgeous noodle soup with this small cutter – perfect for vegetable noodles, salads, and gourmet-style garnishes. Spiral slicing tools aren’t just for professional chefs anymore! Head to Amazon to order one now! 3. 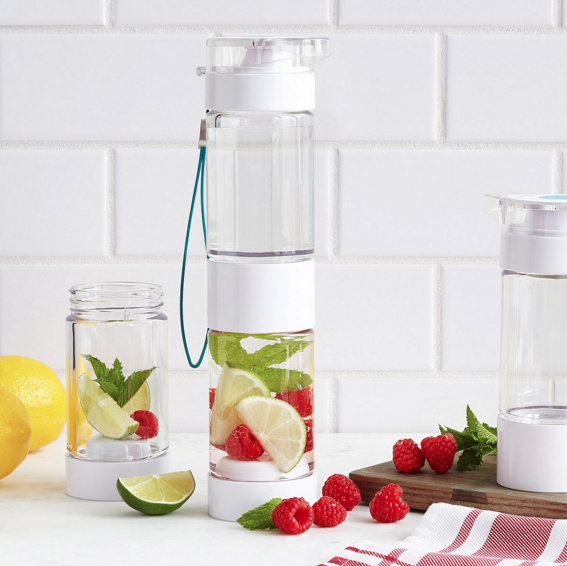 Flavor Fusion Water Bottle- Flavor your water naturally by adding your own creative infusions of fresh herbs and seasonal fruit. Head to Uncommongood.com to purchase. Simply place fruits or herbs in the lower compartment, and fill the bottle with water. The built-in strainer keeps pulp from clogging the spout, and the re-freezable base keeps things ice cold. The bottle is the perfect size to fit your car's cup holder, and the carrying strap keeps it accessible when you're on the run. The bottle is made from a specially formulated plastic that is odorless, tasteless, and stain-resistant. The bottle unscrews into separate segments for easy cleaning. 4. OXO Egg Separator helps you separate egg whites easily, and quickly. Prevent messes with the OXO Good Grips 3-in-1 Egg Separator. Simply hook the Egg Separator onto the side of a bowl and instantly have a perfect edge for cracking eggs. The base of the Separator catches runaway pieces of shell and prevents drips from running down the outside of the bowl onto your counter or table. This neat tool can also separate egg whites from yolks in one easy step. 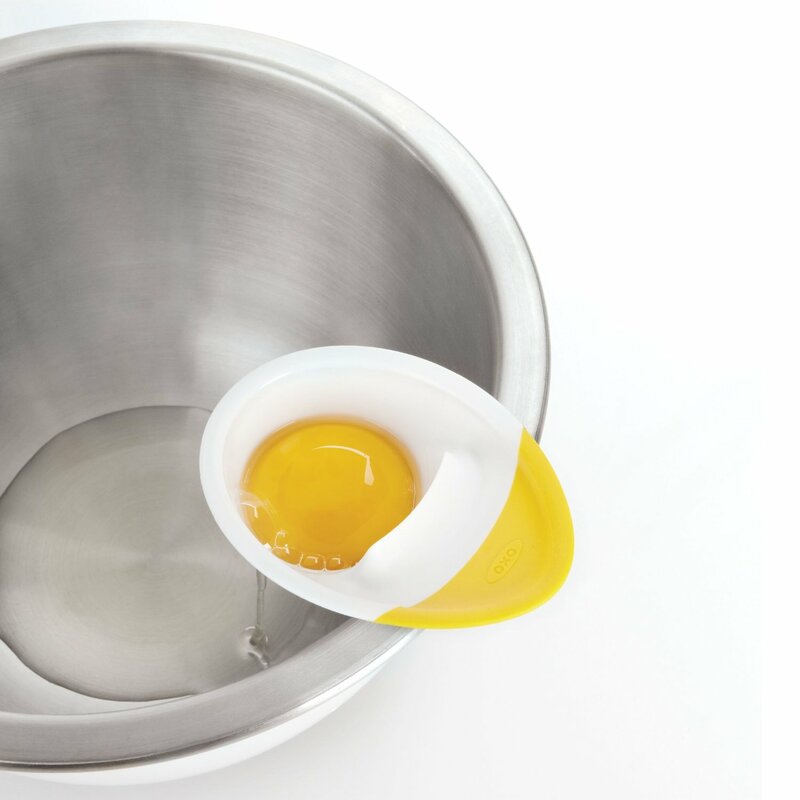 The Separator features two different ridges, allowing it to easily fit on thin-or thick-rimmed bowls, while the raised edge provides the perfect surface for neatly cracking eggs. The Separator's compact size makes it convenient to store and it is top-rack dishwasher safe. Click here to purchase. 5. 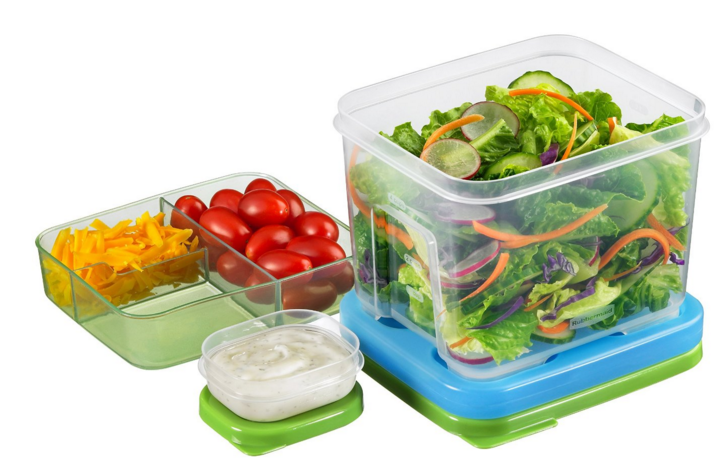 Rubbermaid LunchBlox- Smarter lunches start with better organization! LunchBlox makes packing healthy lunches easier than ever before. Modular containers fill lunch bags more efficiently by snapping to and stacking with each other, and can be snapped to reusable Blue Ice packs to keep foods chilled. Handy measurement guides on the side of each container mean perfect portion sizes, while the secure lids lock in freshness and prevent leaks. 6. 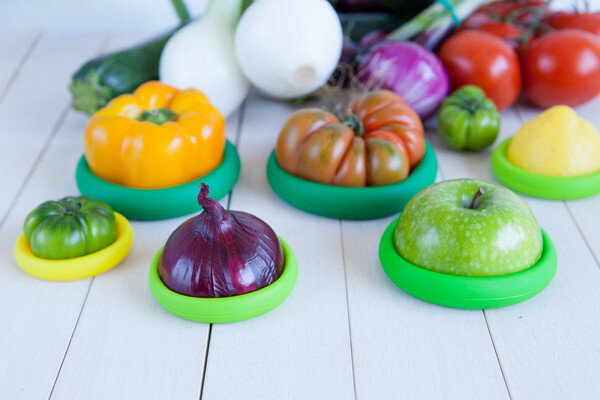 Food Huggers- These are a new and easy way to save your fresh foods until you are ready to finish them. Our patent pending design flexes to fit snugly around fruits and vegetables from kiwis to grapefruits. Check out our demo videos here to see how easy it is to keep your fruits and veggies fresh. 7. Oil Mister- The Deluxe Oil Mister by Prepara, the healthy lifestyle brand, has been improved and is better than ever! Prepara tools are designed to enhance your cooking experience and simplify preparation with elegant designs and kitchen-tested performance. The Deluxe Oil Mister by Prepara is a healthy and economical alternative to aerosol spray can oils. It is made from BPA free materials with a sterilizable glass reservoir. To use, simply fill the glass base with your choice of oil: Vegetable oil, olive oil, canola oil, grape seed oil and more. Use the cap to perfectly pump air into the mister (about 7-12 pumps) and press the nozzle to spray a fine, even mist. It's simple: no harmful CFC's are needed to spray- Just air! Perfect for cookie and muffin pans, preparing eggs or pancakes, grilling meat or dressing a salad. 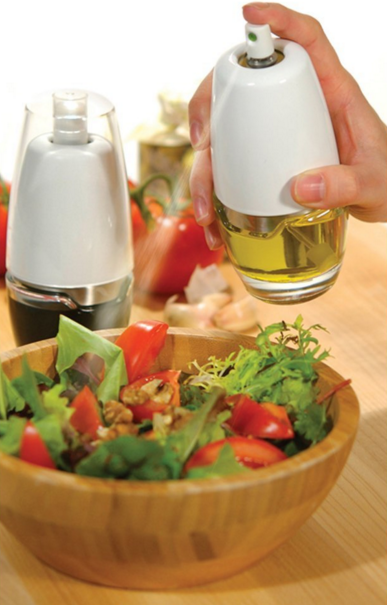 The Deluxe Oil Mister creates a thin coating of oil: ideal for low-fat, high-flavor cooking. The patented filtering system ensures the spraying mechanism will not clog and the entire mister is top-rack dishwasher safe. Prepara is committed to making sure all products work perfectly and this item is at its best. Mister backed by a five-year warranty. Click here to buy. 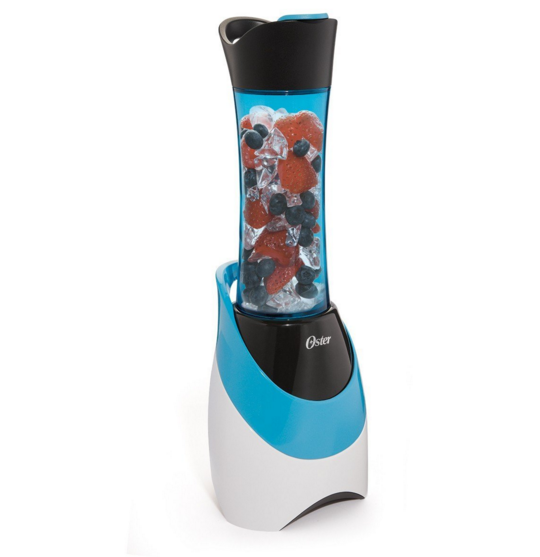 The My Blend is a powerful way to start your day with its 250-watt motor that will pulverize frozen fruit and ice to blend the smoothie of your choice. By blending directly into the sport bottle, you''ll have less mess and less to clean up. The drinking lid has a carry hook that makes it easy to take with you as you carry out your day. The stylish 20-ounce BPA-free plastic sport bottle is dishwasher safe and fits in most car cup holders. Storage is simple, as the blender base is small enough to keep on your counter every day. Click here to buy!